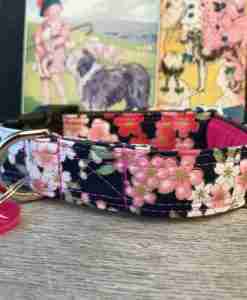 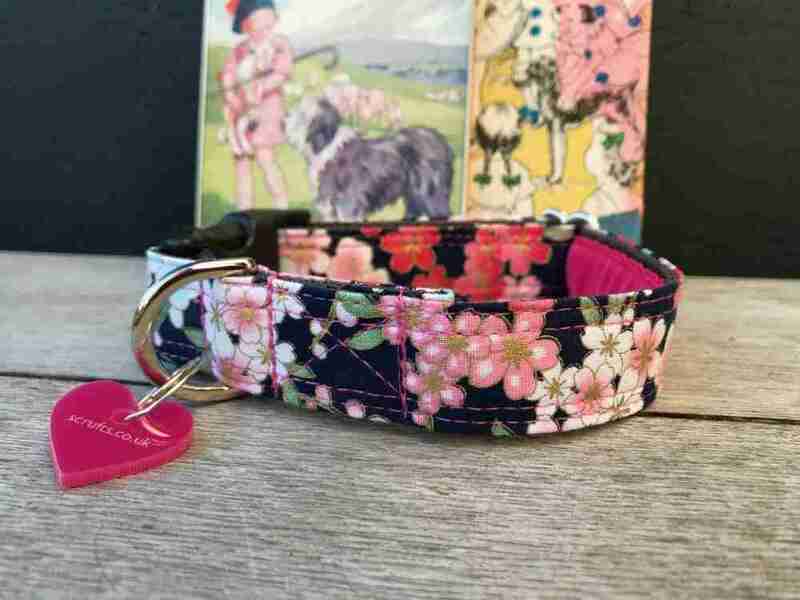 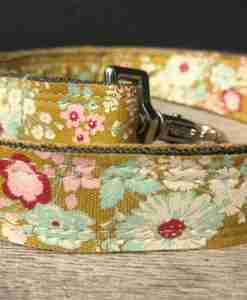 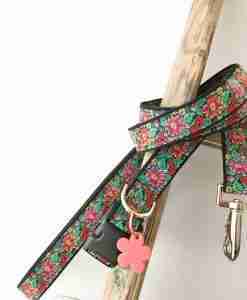 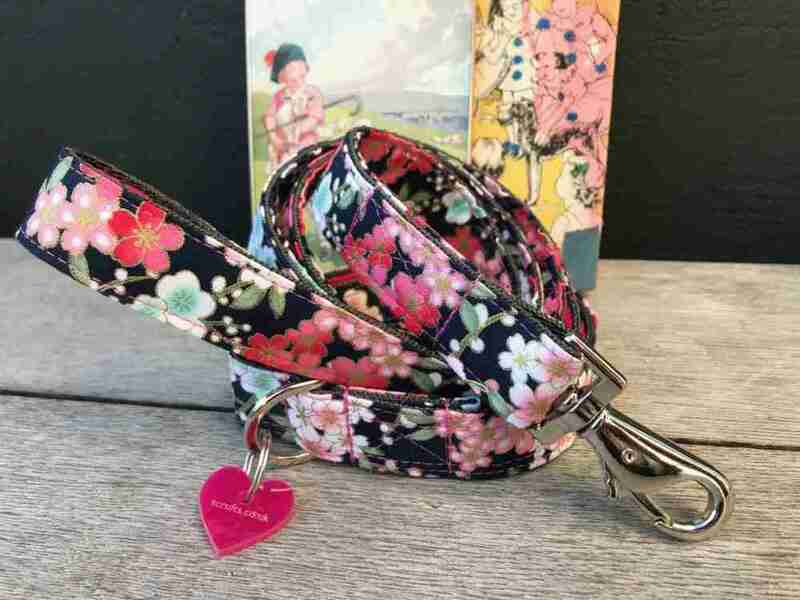 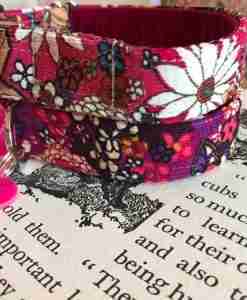 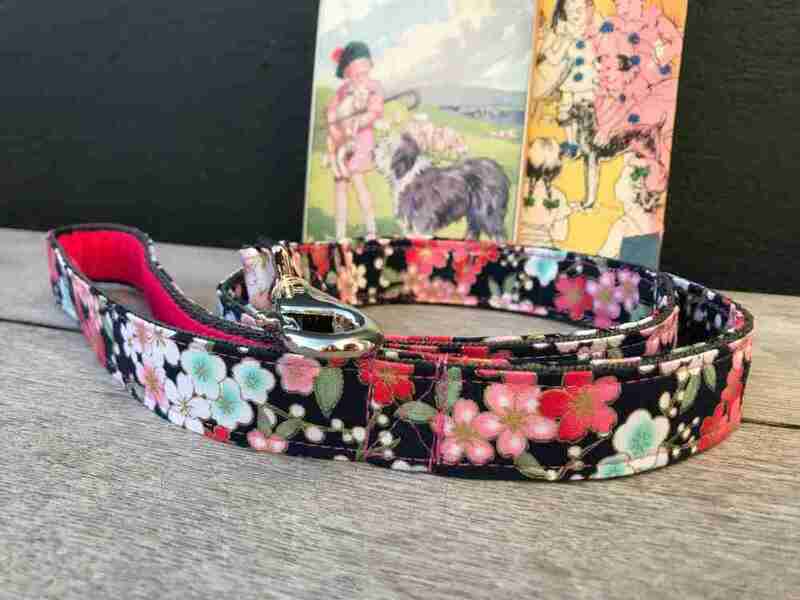 The gorgeous Kyoto Navy Floral Dog Collar with Pink Velvet Lining is a new design from Scrufts Central and it features pink Japanese blossoms on a rich contrasting navy background. 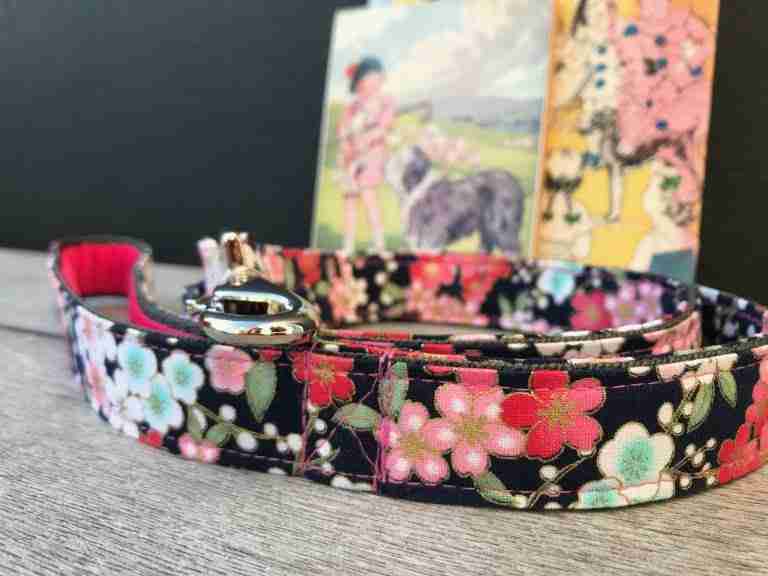 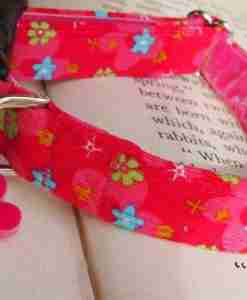 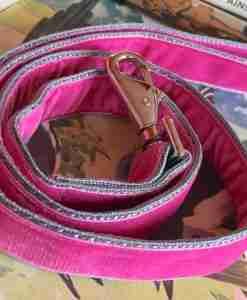 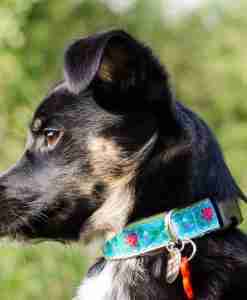 My Kyoto Navy Dog Collar is lined with a lux bright pink velvet for an enhanced walkies experience ! 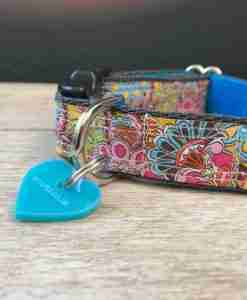 As ever, an exclusive pink Scrufts’ heart shaped tag is the final ta-dah ! 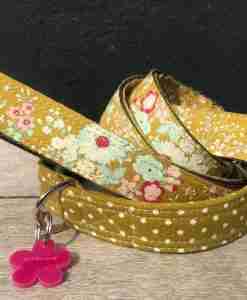 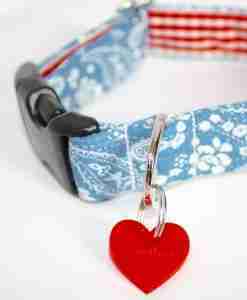 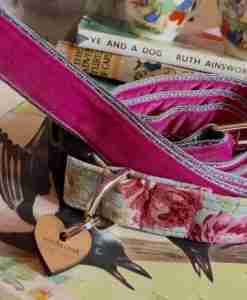 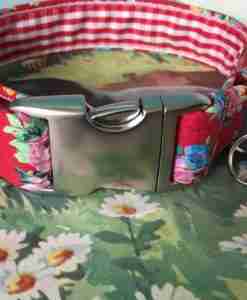 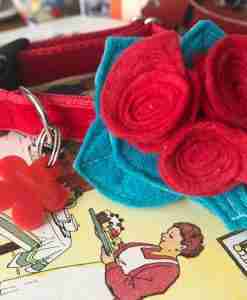 A guide to my sizing:-Sm is a 2.5cm wide dog collar x a generous 35-40cm circumference and is great for chunky terriers/smaller spaniels etc. 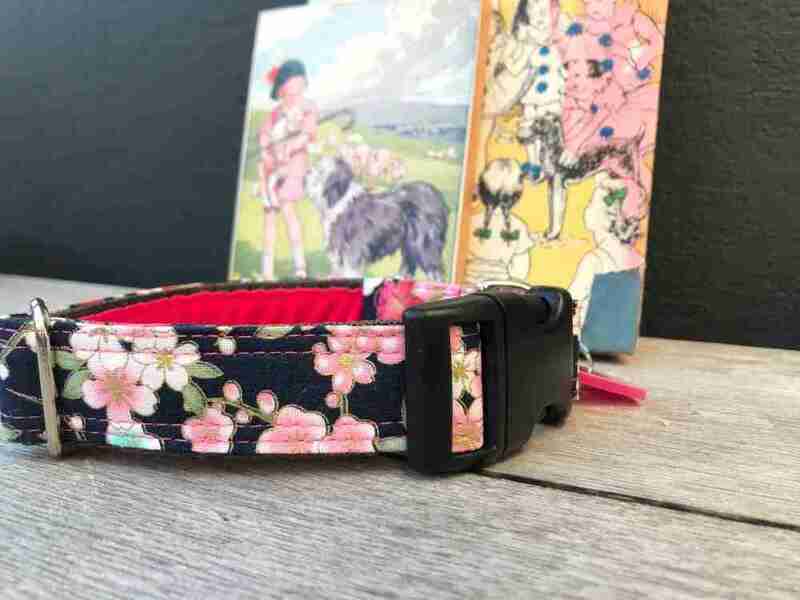 My Kyoto Navy Floral Dog Collar is made using a Japanese cotton fabric, Swiss velvet, polypropylene webbing, steel adjuster and D ring and a hi spec black nylon clasp.